Open houses happen all the time, but the Parade of Homes is entirely different. Even if you’re not in the market right now, it’s worth it to treat yourself to this annual self-guided tour of the area’s best new homes. Down the road you’ll remember that house you loved or that great builder you met. You also get a first-hand look at the latest trends in architectural design, color, interior finishes and home technologies. In addition to leading builders, the parade showcases the work of top architects, interior designers, landscapers, home automation specialists, kitchen and bath designers and manufacturers and suppliers of building products and services. The Home Builders Association of Greater Baton Rouge was founded in 1953 by a handful of residential contractors. Today, the association represents businesses across the nine-parish Baton Rouge area with over 1,050 members. HBA | GBR President and CEO Karen Zito shared why the Parade of Homes is a valuable resource. There’s a connection between the number of homes in the parade and the strength of the local market. 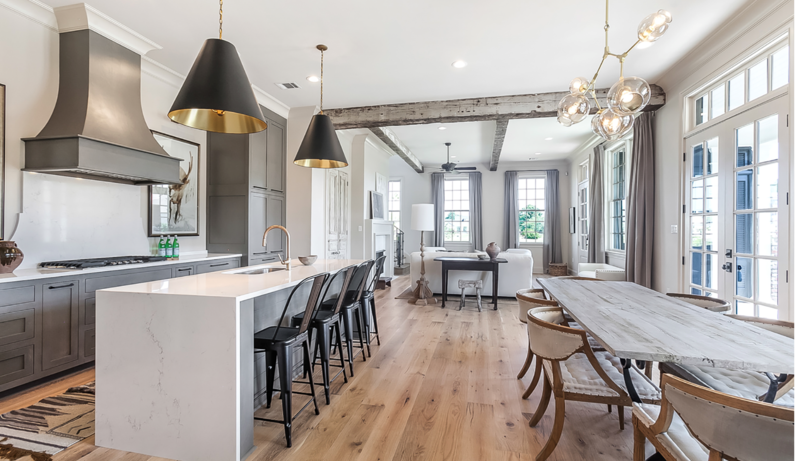 While six to ten homes is the average, in Baton Rouge, the 2019 Parade of Homes featured over 50 homes—a sign that the Capital Region housing market is thriving. The HBA | GBR is a part of Louisiana Home Builders Association and the National Association of Homebuilders in Washington, D.C.
Click here for more information about the Parade of Homes and to check out this year’s Parade of Homes guidebook .